Instant Racking & Toolbox Plus can deliver storage and shelving solutions to any location in Western Australia. We specialise in the provision of racking and shelving products throughout Western Australia. Our experienced team can recommend the right products to suit your needs and arrange prompt delivery within a few working days. We can also arrange for your products to be professionally installed onsite. 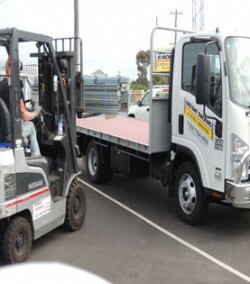 To find out more about our delivery services, call or email our Bunbury, Geraldton or Kalgoorlie office.